From 1998-2005, Nick was Director of Silver Actuarial Services. Prior to this, he was Manager of PricewaterhouseCoopers in the actuarial Department, and worked as an Actuary from 1991 to 1997. 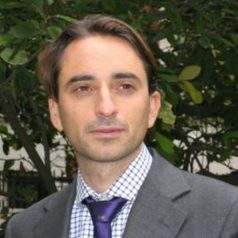 He has also held titles of Visiting Fellow at LSE's Grantham Research Institute on Climate Change and the Environment Research, Fellow at Carbon Disclosure Project, and was Founder and Director of Climate Bonds Initiative. Nick received an MSc in Public Financial Policy (Merit) in 2004 from the London School of Economics and Political Science (LSE). He also has a BSc Hon in Mathematics from Bristol University. He is a Fellow of the Institute of Actuaries. Nick is also Director of Callund Consulting Limited, where he provides public policy advice on social security, pensions and consultancy services to corporate clients in all continents, in respect of non-state employee benefits. He also develops innovative tools to manage risk and finance climate change.